If you want to travel like a Prince of Poland, or a Kennedy, rent the 1949 Silver Wraith Rolls Royce for your wedding or special occasion. It was originally owned by Gillette Industries, and was sold to Prince Radswill of Poland. He was married to Jackie Kennedy's sister, Lee Bouvier. 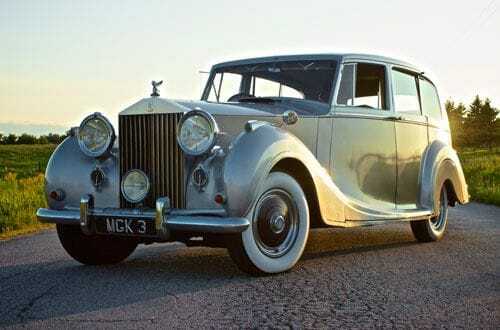 If you're in the pursuit of happiness, then look no further than the 1949 Silver Wraith Rolls Royce. This elegant vehicle's last owners were Scott Abbot and Chris Haney, the inventors of the board game Trivial Pursuit.